Juventus scored two goals in the last 16 minutes to secure a comeback 2-1 win against Lazio at the Stadio Olimpico and preserve their unbeaten Serie A campaign. What the papers say Juan Mata may be on his way out of Old Trafford, the Daily Mirror reports. Mata has scored twice in 15 league appearances in the current campaign but is out of contract at the end of the season, with Arsenal, Juventus, Paris St Germain and Barcelona all interested in taking on the 30-year-old, the paper adds. What the papers say Idrissa Gueye is the subject of strong interest from Paris St Germain and the Ligue 1 club are putting £22million on the table, the Liverpool Echo reports. 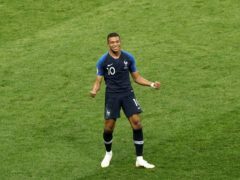 The 29-year-old midfielder has been at Goodison Park since 2016 with the French side looking to also land Leandro Parades from Zenit St Petersburg, according to the Daily Mirror. Cristiano Ronaldo was all smiles as he prepared to jet off for a personal tour of China following his £99.2million move to Juventus from Real Madrid. 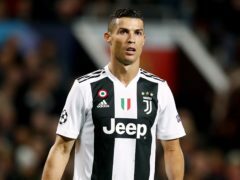 There’s substance to this summer story of Juventus not only wanting to buy Cristiano Ronaldo but Madrid being willing, at least, to talk to them about the deal. Everybody’s talking about the beautiful thing which happened in Turin this week – Ronaldo’s goal. In Spain there are many who call Cristiano Ronaldo “El Bicho”. 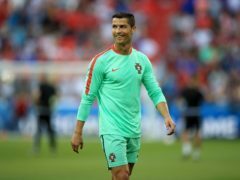 The girlfriend of football superstar Cristiano Ronaldo has said they have become closer as a couple since welcoming their first child together. So La Liga kicks off this evening and the first round of matches continue until Monday evening. Now I'll admit it, every eight or nine years I might get something wrong. But in this instance I'm convinced it's a horrible, half-brained idea for Cristiano Ronaldo to re-sign for Manchester United. At 32 years old, nobody would have criticised Real Madrid’s Cristiano Ronaldo had his goal-scoring form dipped – but after his hat-trick against Atletico Madrid in the Champions League semi-final, if anything he seems to be getting better.